Urs Raussmüller is an artist and made a name for himself in the 1970s with large-format spatial works in Zurich. His development moved from painting and sculpture to installations (with exhibitions at home and abroad), to building up art collections (including the collection of the Federation of Migros Cooperatives and the Crex collection, which also contained his private acquisitions) to the creation of whole institutions. Right from the early days, Raussmüller carried out international exhibitions of contemporary art (in 1981, for instance, “Robert Ryman” in the Musée national d’ art moderne, Centre Georges Pompidou, Paris and the Kunsthalle in Düsseldorf; “Minimal Art” in Madrid and Barcelona) and built up and ran pioneering art locations (from 1978 to 1981 InK, Halle für internationale neue Kunst, Zurich; from 1983/84 to 2014 Hallen für Neue Kunst, Schaffhausen; RennEspace, Paris, in 1991; in 1995 Casino Luxembourg, Centre d’art contemporain; currently: Raussmüller Hallen, Basel). Christel Raussmüller Sauer is an art historian with an early connection to contemporary art and gallery experience. She has known artists such as Joseph Beuys since her schooldays. 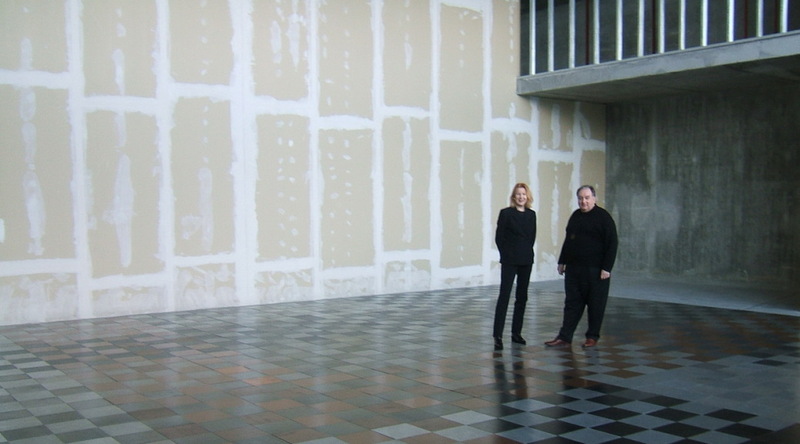 From 1977, she has worked together with Urs Raussmüller and participated in his plans and institutional realizations. She has published seminal texts on works and artists of New Art and delivered innovative impulses to art education.